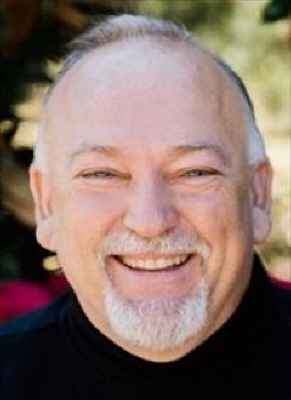 Paul Glenn Nichols, 50, of Duncan passed away Saturday, March 30, 2019 at Fisher County, Texas. Services will be 2:00 PM Tuesday in the Bethesda Church of God with Jason Hunt and Reverend Harold Metheny officiating. Interment will follow in the Duncan Cemetery under the direction of the Bailes-Polk Funeral Home. The family will receive friends for visitation at the funeral home from 6-8 PM on Monday. Paul was born September 1, 1968 at Irving, Texas the son of Joseph and Jean (Coe) Nichols. He graduated from the Velma High School. He and Debbie Hunt were married at Duncan, Oklahoma on August 19, 1988. He worked for City Mart as a fuel delivery driver. His greatest joy in life was the time he spent with his family. He loved going to his daughters dance competitions and dancing in the daddy daughter dance every year. Pallbearers will be Caleb Gray, Mark Barrick, Charlie Davis, Clayton Lee, Davis Loafman, Mason Lang, Aaron Nichols and Zack Nichols. To send flowers or a remembrance gift to the family of Paul Glen Nichols, please visit our Tribute Store. "Email Address" would like to share the life celebration of Paul Glen Nichols. Click on the "link" to go to share a favorite memory or leave a condolence message for the family.